Steven Presson was one of only 1,000 real estate professionals recognized by NRT for outstanding performance. That honor places him in the top 3% of the more than 2-million licensed realtors in the U.S. Steven is with The Corcoran Group Palm Beach. 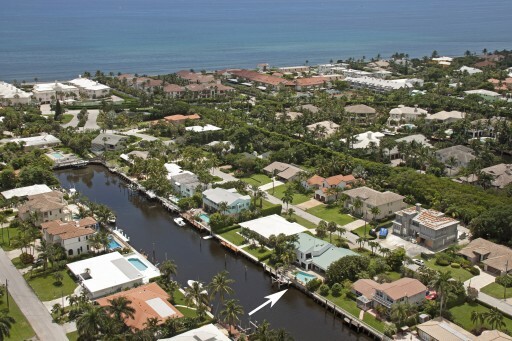 Tour this exceptional waterfront property from the comfort of your own home. It's a magnificent home and perfect for a primary residence or a 2nd home for your winter getaways to the warmth of the sun to be enjoyed on your own private beach. Varga Homes has just completed construction on a beautiful, modern 4100-SF home located in the prestigious upscale community of Ocean Ridge. 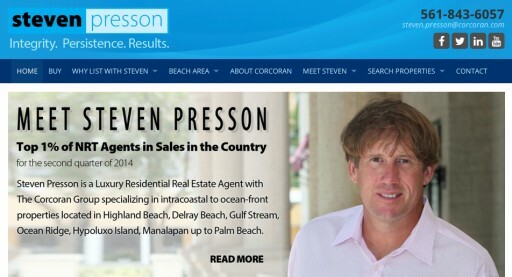 It's now available for showings by Steven Presson of Corcoran Group Real Estate in Palm Beach. Sign up for email updates from Steven Presson.